September 13th 2017 will mark the 10th anniversary of the United Nations Declaration on the rights of Indigenous Peoples (UNDRIP), adopted by the General Assembly of the UN. Endorsed by 144 States, including Canada, the Declaration is the most complete international instrument ofn the fundamental rights and freedoms of Indigenous peoples. It sets a universal framework for minimal standards for survival, dignity and well-being of the Indigenous peoples of the world. 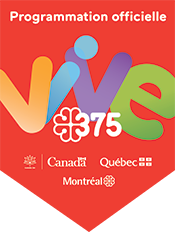 This inclusive, educational event with an international scope is organized by the Assembly of First Nations Quebec-Labrador (AFNQL) in partnership with Ville de Montréal and the Canadian Commission for UNESCO. AFNQL thereby wishes to celebrate the Declaration and value the rights of Indigenous peoples throughout the world. It is intended as much for the committed Indigenous milieu as for the general public, though a series of festive activities (outdoor concerts, dances and drums, artistic performances, Indigenous gastronomy) and educational ones (lectures, workshops). A question or an idea about the event?